Leading experts from pharma, technology and biotech companies recently met for an exclusive roundtable at Carmichael Fisher’s London office, run in partnership with Novasecta. Attendees came from many corners of the industry including Google, AbbVie and GSK. They were looking for inspiration on how the pharma industry can embrace artificial intelligence (AI) in research and development (R&D). Notably, individuals stated that they wished to learn more about finding patients with rare diseases using AI, giving their company a competitive edge and how to find the right AI solution. The roundtable began with an introduction from Novasecta, who dispelled some of the myths surrounding AI. Ed Corbett, Partner at Novasecta explained, “At its heart, AI is maths. It deals in possibilities and not certainties. It learns what to do based on data and rules of probability.” He then made comparisons with Netflix’s movie discovery algorithms and the potential application of AI in pharma. Attendees were unanimous in their enthusiasm for AI, but, when asked, many stated that their companies were still in the experimentation and exploration phase of using AI. This appeared common across the sector, with many highlighting that smaller start-ups were making the most headway with AI in R&D. Big pharma companies, as everyone noted, are often risk-averse and slow-moving. This makes them unable to fulfil much of the potential that AI offers. Instead, it was suggested that big pharma companies are adopting a wait-and-see approach, shifting the risk of AI experimentation onto small and mid-sized biotechs. Ones that develop successful AI applications would likely be acquired by a big pharma firm. The opportunities offered by AI in pharma are vast. There are benefits to clinical trial recruitment, novel candidate creation and drug re-purposing. Pharma companies could use AI to predict demand and inform supply chains, by understanding when flu season is going to be particularly bad, for instance. Customer targeting and sales forecasting will improve marketing effectiveness, strategy planning and resource allocation. One attendee expressed his excitement at seeing not only the potential of AI, but how it becomes more accessible to the sector. Much like how we talk about Word or Excel today, in the future, AI will be essential in every workplace. Yet, challenges to AI’s development must be addressed by the industry. AI is only as good as the data that it is trained on. However, patient data is highly sensitive and companies may be loathed to share it with their peers. Federated data may offer a solution, enabling companies to ingest third-party data that has had personally identifiable information taken out. Another attendee recommended using Genomic England’s Airlock method. By doing so, pharma companies can allay patient fears as well. Indeed, much of the progress of AI will be driven by patients. There needs to be a shift in perceptions around patient data, attendees said, to empower patients to see and control their data. The anticipation for AI is only going to grow as use cases for the technology appear in pharma. It looks as though the glory will be taken by the small biotechs, however, with big pharma happy to sit and watch the happenings. This approach may prove too slow. Big pharma risks an Uber-esque start-up rising from the grassroots of pharma. Alternatively, tech giants such as Google may enter the market. One thing is certain, change is coming. That cannot be a bad thing, for pharma companies, R&D professionals and patients. 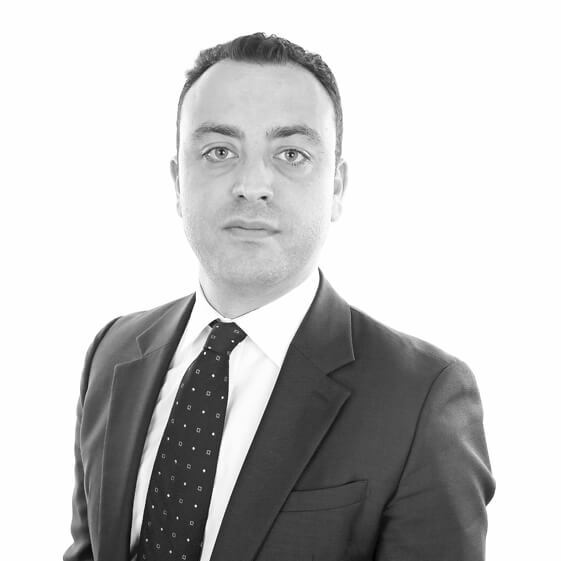 Luigi has over 10 years’ experience in executive search. He leads our Pharmaceutical & Biotech practice in EMEA, servicing a wide range of international clients across pharmaceuticals, biotechnology, and contract consulting services.